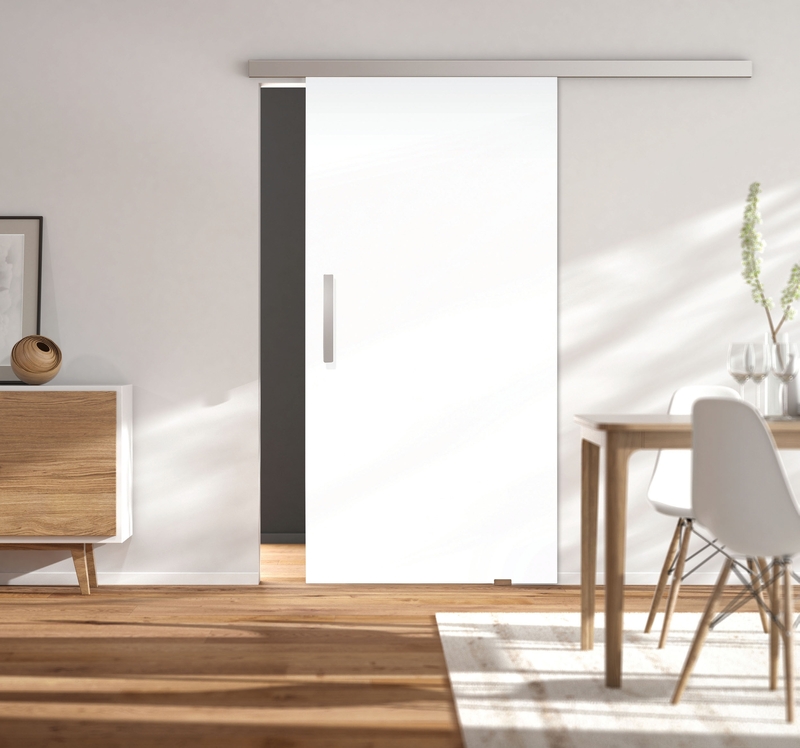 Manual sliding door system with running rails sliding invisibly in the profile. Can be used for 1 leaf wooden sliding doors. The soft-closing operation gently guides the door into the end position and holds it there. The system is prepared for installation to the wall and can be easily installed by frontal attachment of the door. Minimum dimensions of the profile and an unobtrusive design integrate the system into any living ambience. Tested in accordance with DIN EN 1527:1998.